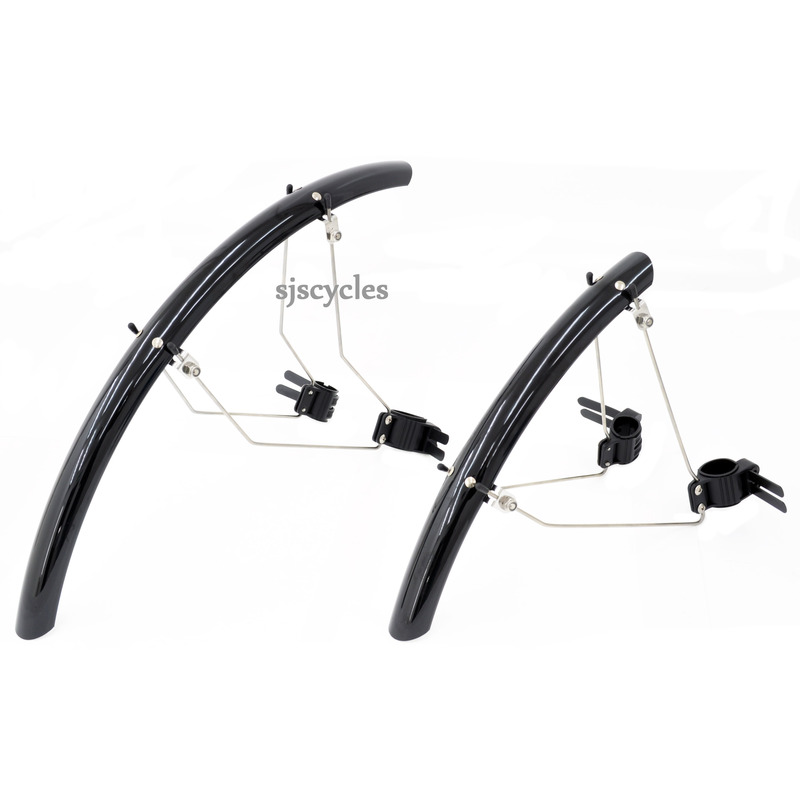 Fits to 700C road bikes without mudguard eyes or mudguard clearance. Not as good as having a bike that accepts mudguards, but the next best thing! I was justifiably concerned when I opened the package to get an added note telling me that I needed to wrap insulating tape 10 times around under the fittings to prevent them slipping down and causing an accident. Not a good start. The fittings are flimsy and cannot be fully tightened as they then slip internally. The guards thamselves look fine so I may have to buy a set with better fittings and swap. so they won't work on 20", right? Without serious modification these mudguards won't work with 20" wheels. What Size Tyres Will These Fit Over? As these are designed for road bikes with minimal clearance they will have been optimised for 23 or 25mm tyres but they may be able to work with 28mm tyres at a push.